Safed, c.1895. Engraved in safed with three holy land scenes including the tomb of the davidic dynasty, the tomb of the patriarchs and the kotel. 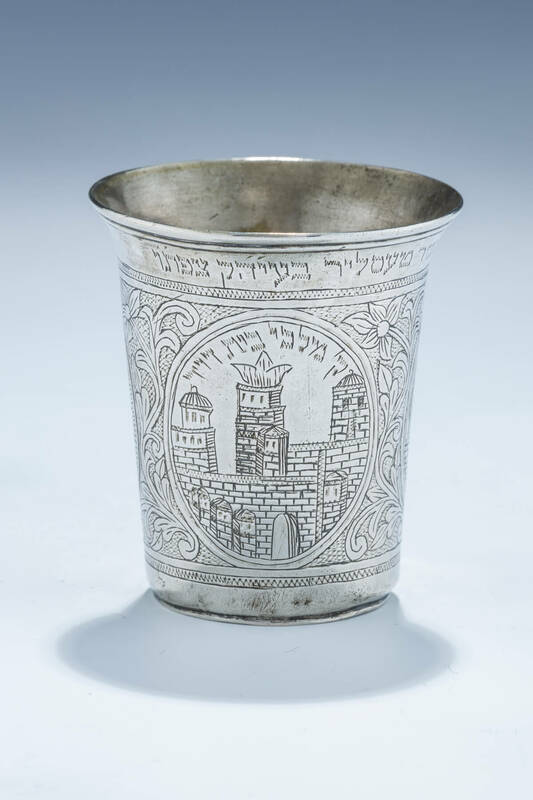 Engraved with dedication on upper rim from asher tessler in the holy city of safed. 2.7” tall.